The more we learn about this beautiful blue planet we call home the more wondrous it becomes. The following Friends of the North Fork and White Rivers newsletter shows a “pattern” I believe used by our Creator in three systems which we depend on for our very existence. Please look at the similarity of these patterns and marvel with me at how these along with thousands of similar patterns in nature sustain our life on earth. 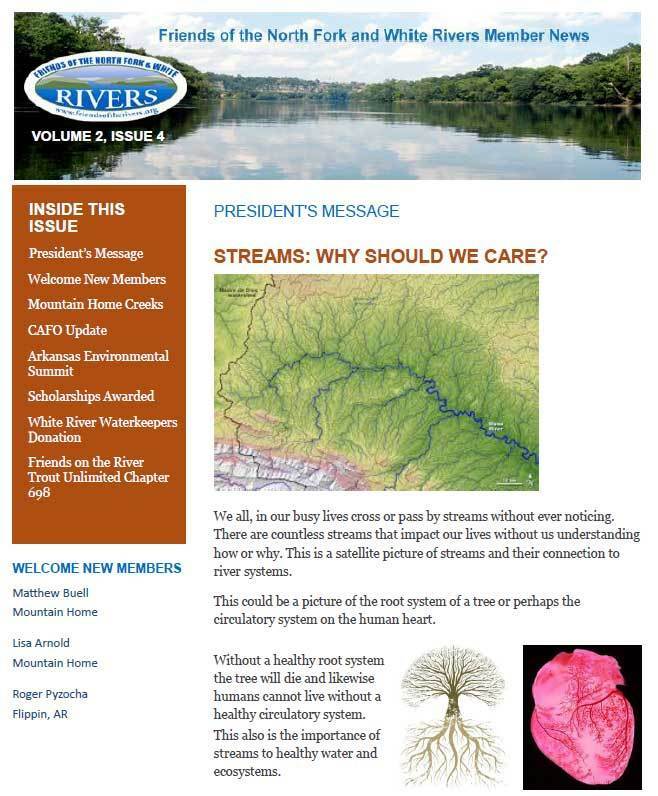 This newsletter discusses the importance of our streams and creeks in the watershed pattern and what we can all do to protect and enhance them. Thank you for your support and I ask for your help to protect our wondrous watersheds. We are currently looking for help with membership records and communications, website content posting and social media. Please call, text or email me about how you can help with our efforts or have questions about Friends of the North Fork and White Rivers.